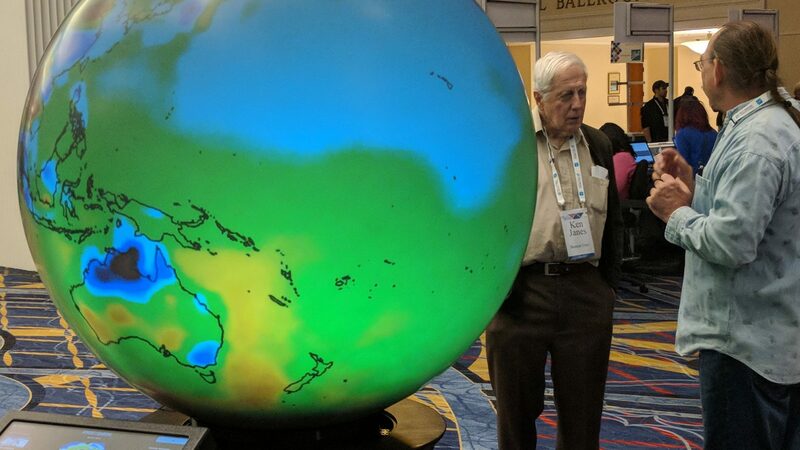 This GeoDome Globe offers excellent image quality and color, and it’s bright enough to use in a trade show or lobby environment. It’s based on our 32500 projection system – two blended OmniFocus 30500 projection systems, producing 5.1 Mpix across the globe, and a brightness of 10,000 lumens. The 52500 drives turnkey GeoDome Globes from 1m (39″) to 1.5m (60″) in diameter. 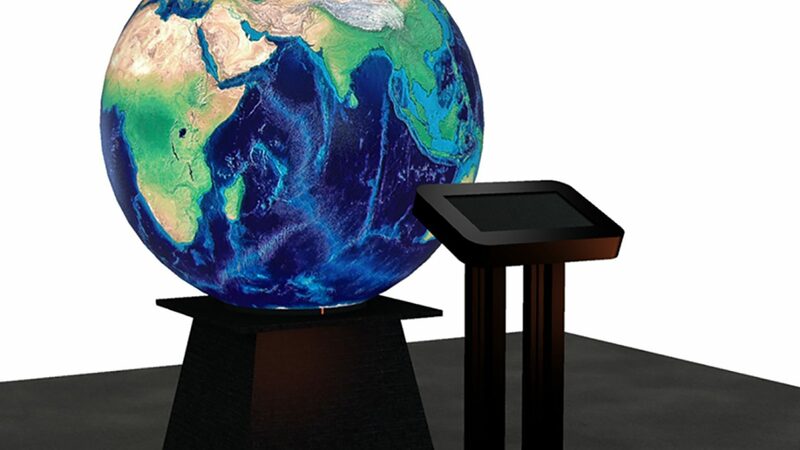 Driven by WorldViewer, our GeoDome Globes enable audiences to explore immersive VR content from a global perspective. 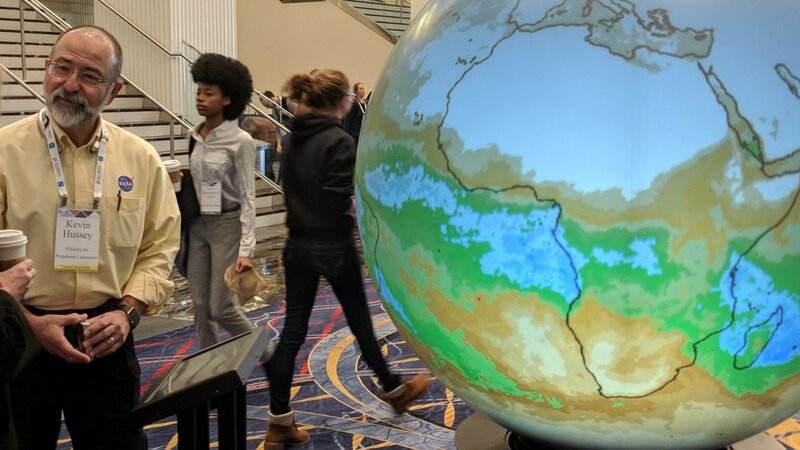 Our clients can easily create their own interactive presentations with a wealth of datasets from NASA, NOAA and leading museums. 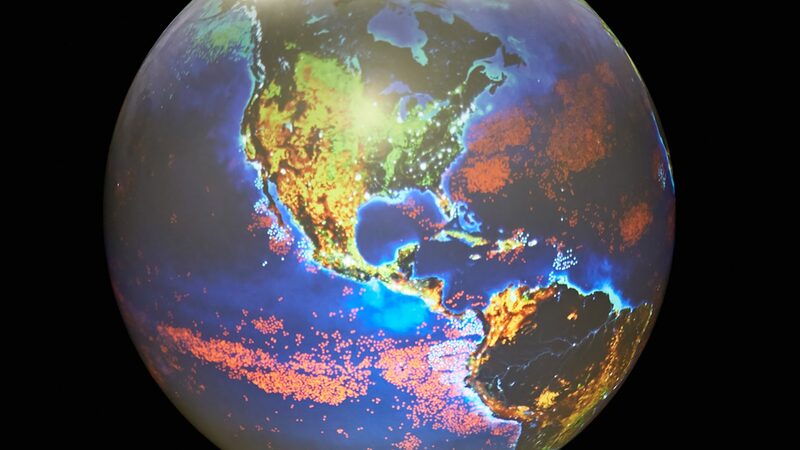 WorldViewer supports 360° media and even streaming live content from locations around the globe. 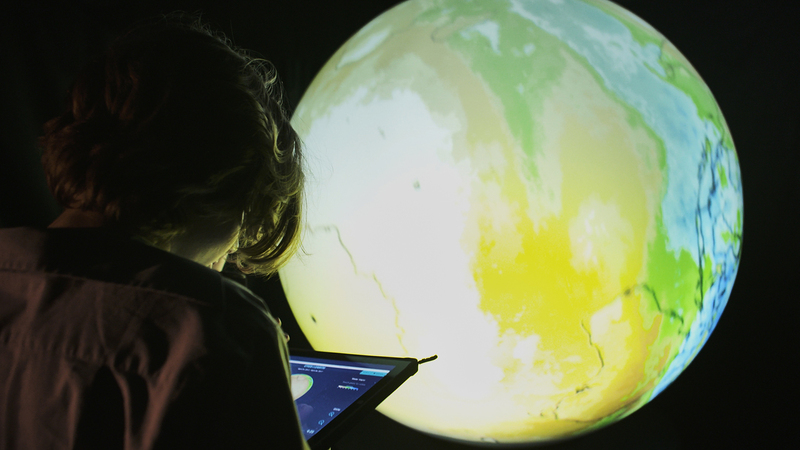 Our partnership with NASA JPL enables us to provide up-to-the-minute climate data with Eyes on the Earth, and our globes are Magic Planet® compatible for museums and science centers.